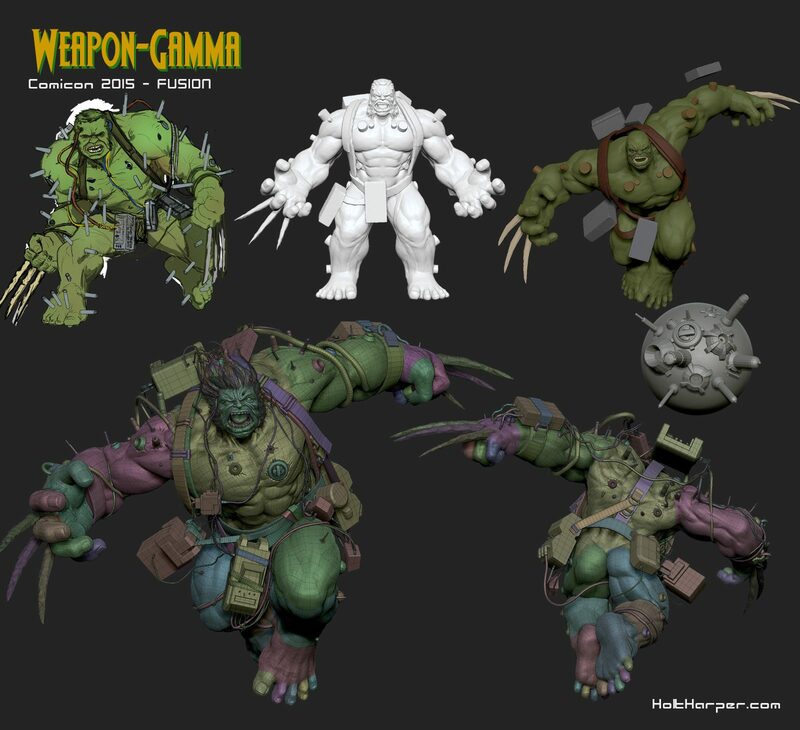 Created for the 2015 Comicon Challenge at GameArtisans.org. 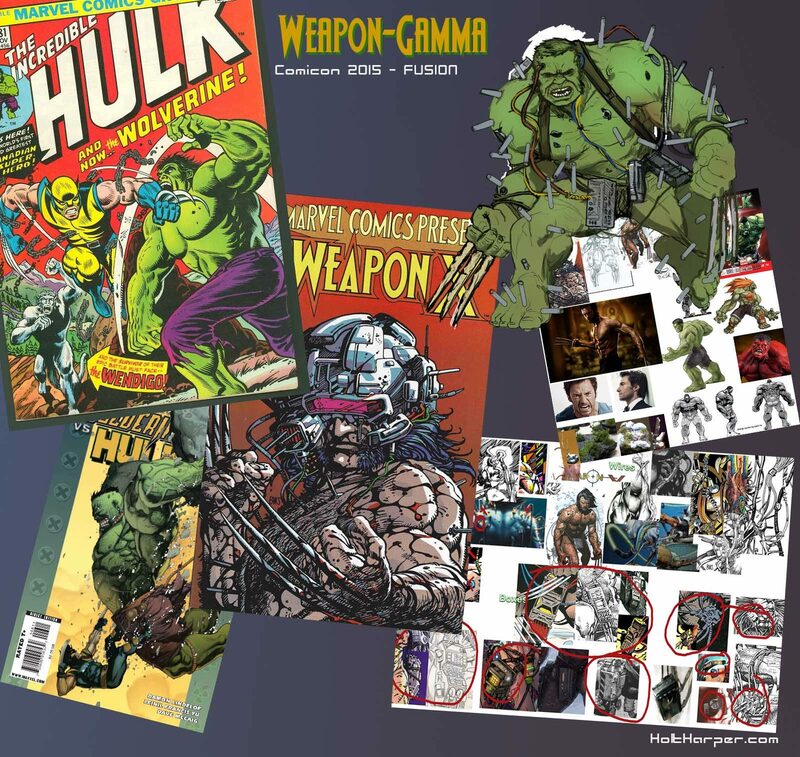 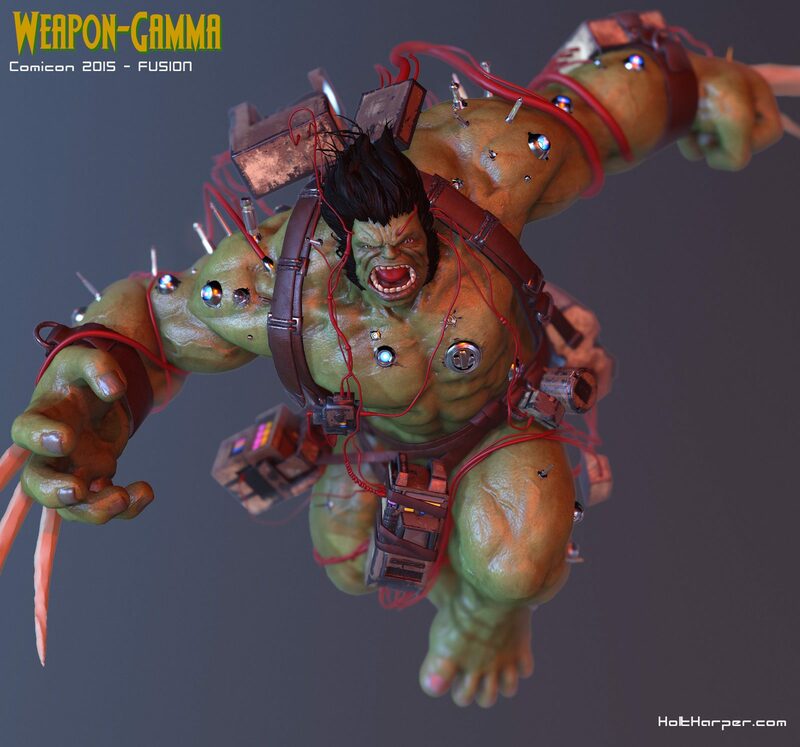 The brief called for the Fusion of two superhero comic characters, Weapon Gamma is the mash-up of The Hulk, and Weapon-X. This was modeled mostly in ZBrush, and re-meshed with a combination of Topogun ZRemesher and Maya. 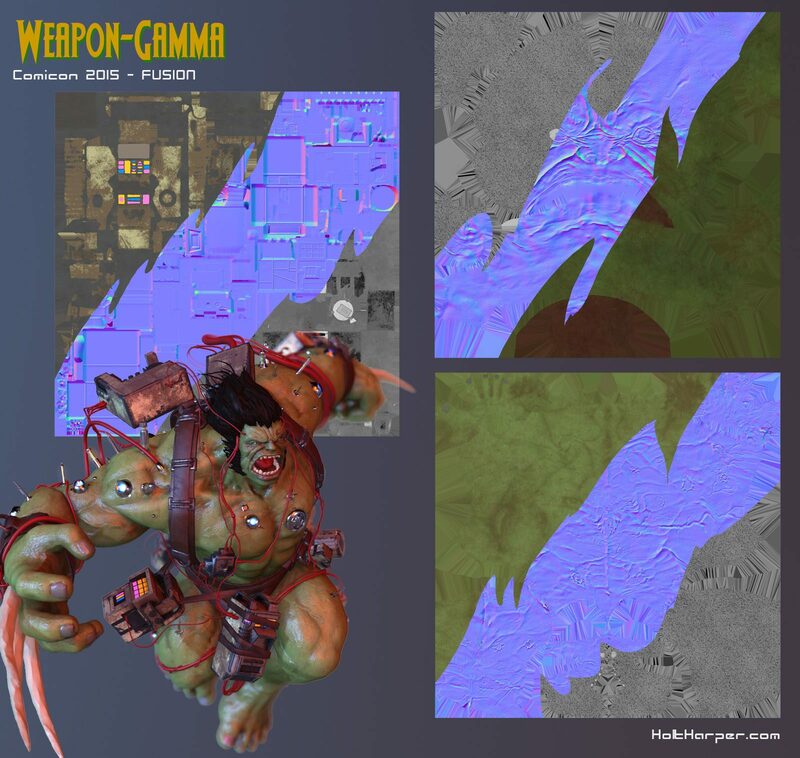 The textures were blocked out in Substance Painter and lightly modified in Photoshop. 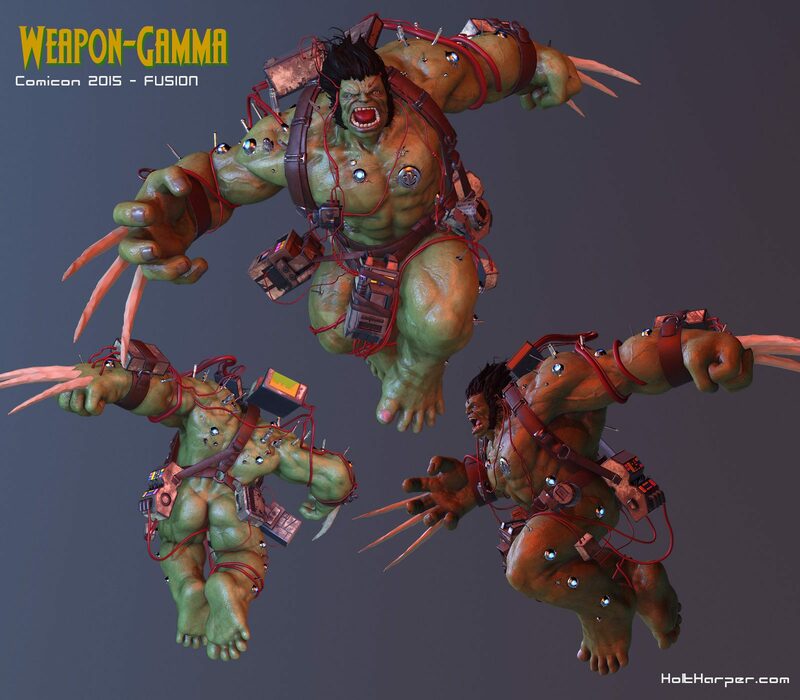 Because this was the first time I've made a character using physically based lighting, I spent more time learning than getting meaningful work done, but I managed to walk away with a piece I'm really happy with and streamlined my PBR workflow.